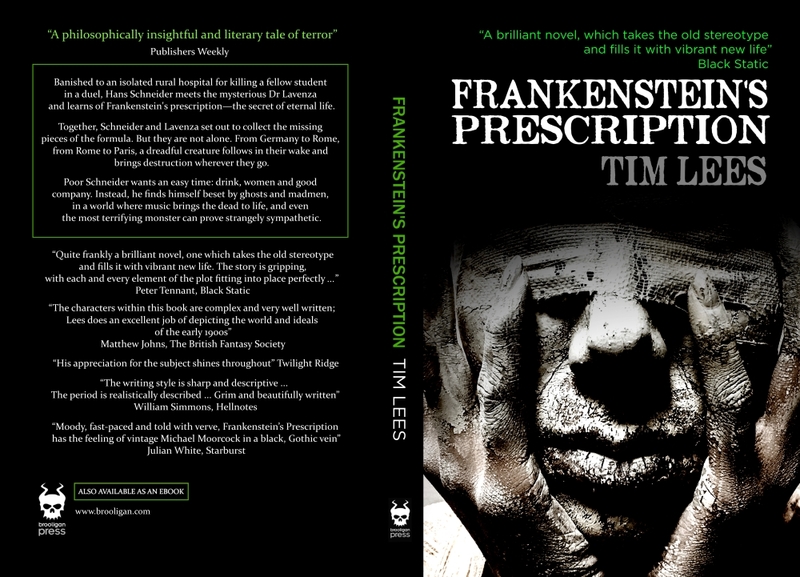 This entry was tagged Brooligan, Brooligan Press, classic, Dr Who, fantasy, fiction, Frankenstein, Frankenstein's Prescription, historical fantasy, historical fiction, history, horror, literature, Mary Shelley, novel, science fiction, sf, Stephen Gallagher, Tartarus Press. Bookmark the permalink. ← CITE YOUR SOURCES !